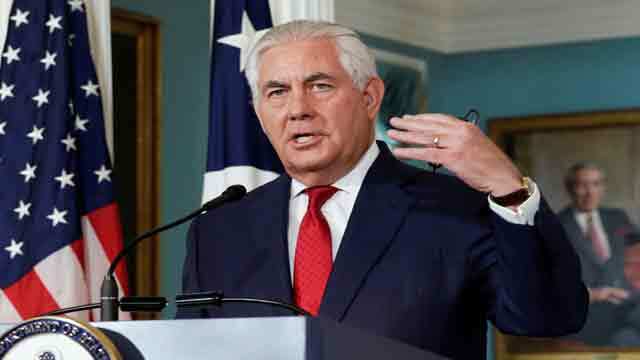 Washington, Jan 24 (Just News): On Tuesday US Secretary of State Rex Tillerson participated in the launch of the International Partnership Against Impunity for the Use of Chemical Weapons, in Paris, France. The United States strongly supports this French-led Partnership to hold accountable those responsible for the use of chemical weapons anywhere in the world. The goal is to prevent further erosion of the universal norm against the use of chemical weapons. The Partnership is especially critical given Russia’s repeated veto of the United Nations-Organization for the Prohibition of Chemical Weapons Joint Investigative Mechanism, the only independent and impartial tool the international community has to identify the parties responsible for chemical weapons attacks in Syria. We call on all responsible nations to condemn the use of those horrible weapons and to hold accountable both those who commit mass murder with chemical weapons and those who sponsor and support them.